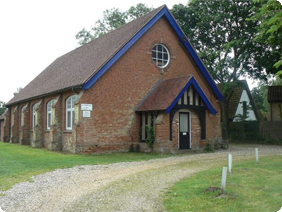 Culford Village Hall lies within a conservation area in the heart of Culford in Suffolk. We’re about 5 miles outside of Bury St Edmunds and easily accessed by car. Our facilities are ideal for functions and events, both for the community and private bookings. The hall is currently used for fitness and dance classes, other sports activities such as bowling and table tennis and children’s activities including toddler groups. We often host fundraising events for the hall and other community groups; these are held throughout the year and a list of upcoming events can be found here. Take a look around our website, see if the hall is free using our online calendar and then make a booking by emailing culfordvillagehall@gmail.com . There is a lower rate of £8 per hour for residents in Culford, Ingham, West Stow, Culford Heath and Wordwell. Our tables and chairs are also available for hire, as is the car park.